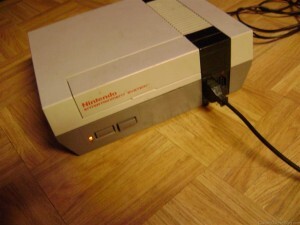 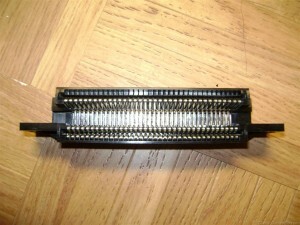 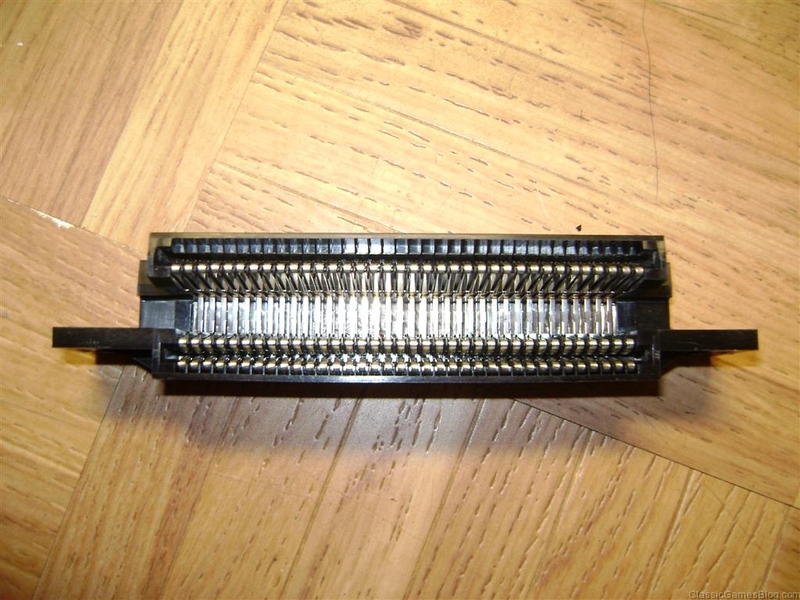 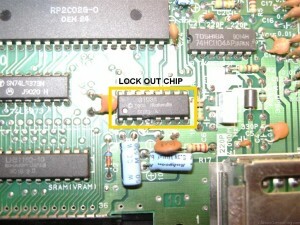 The 72 pin connector for the original front loading “toaster” NES. 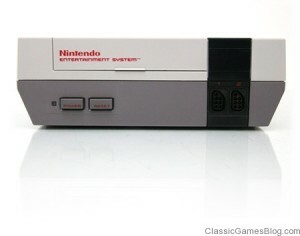 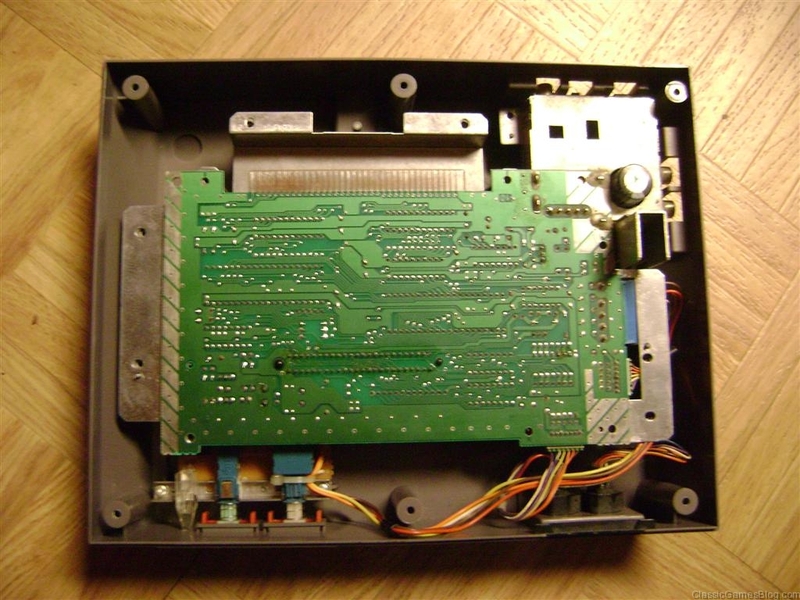 It’s very easy to take apart the original toaster style Nintendo NES. 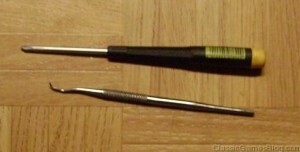 You only need a standard Phillips screw driver and optionally a dental pick tool. 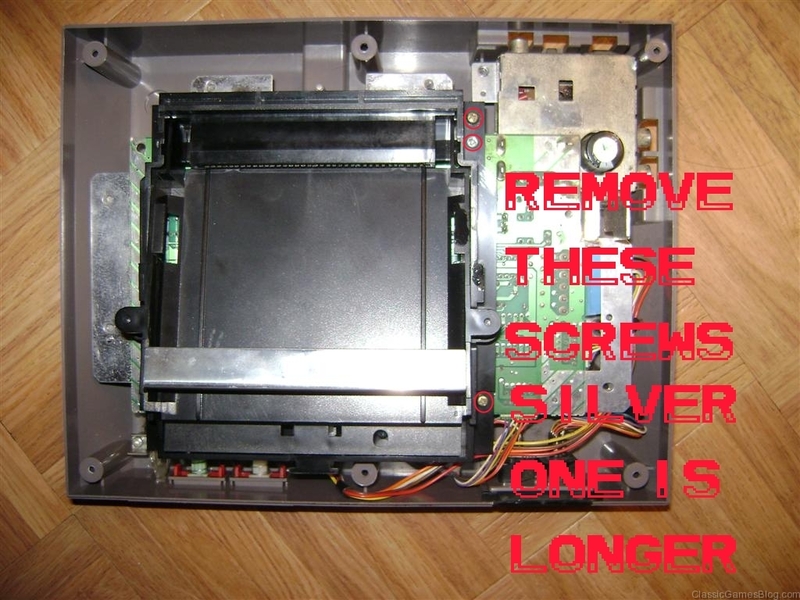 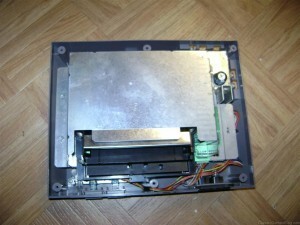 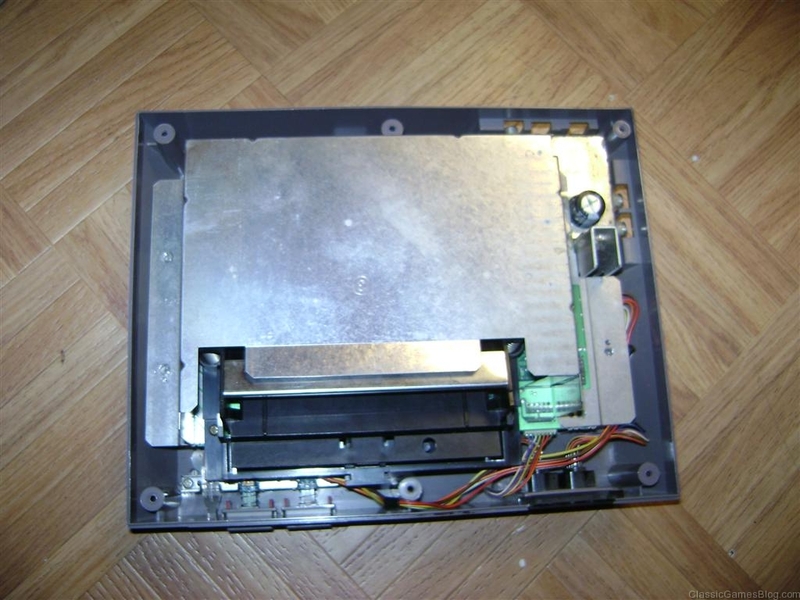 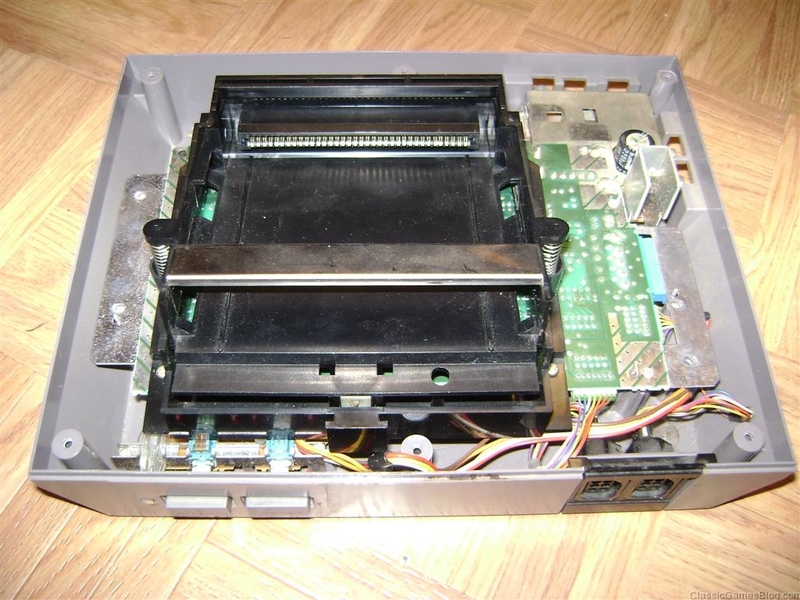 Remove the cartridge caddy by removing the 6 screws that hold it in place. 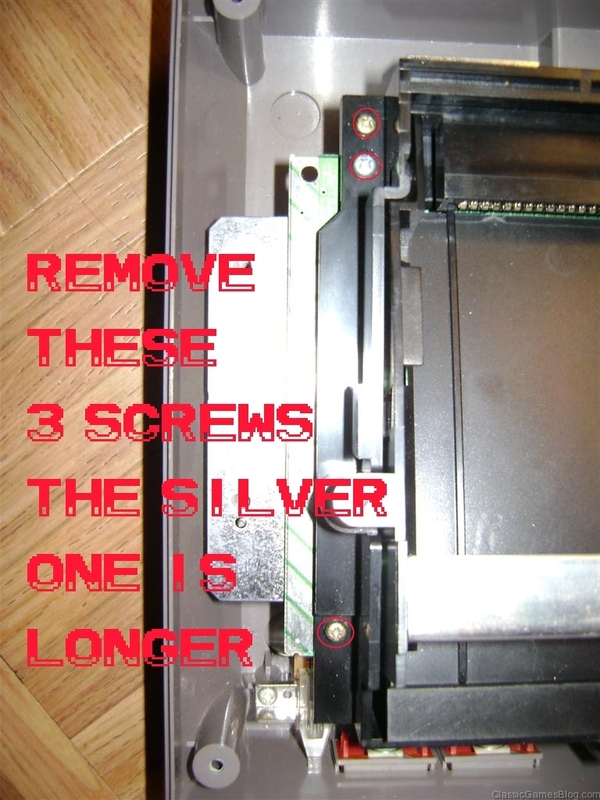 Take note that the 2 silver screws are longer and remember to put them back in the same spot. 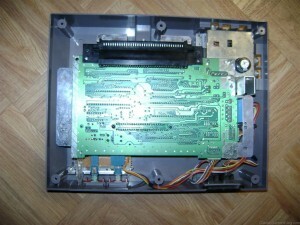 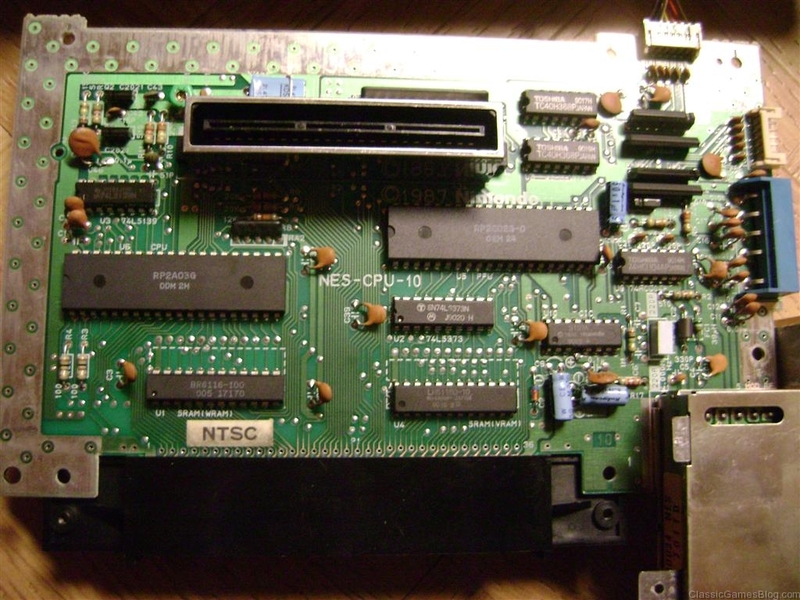 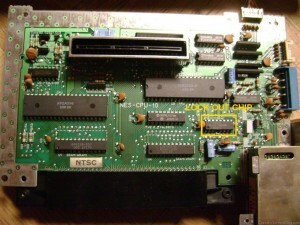 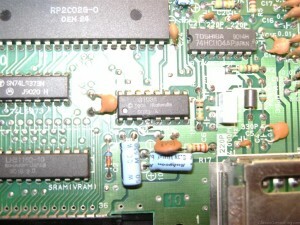 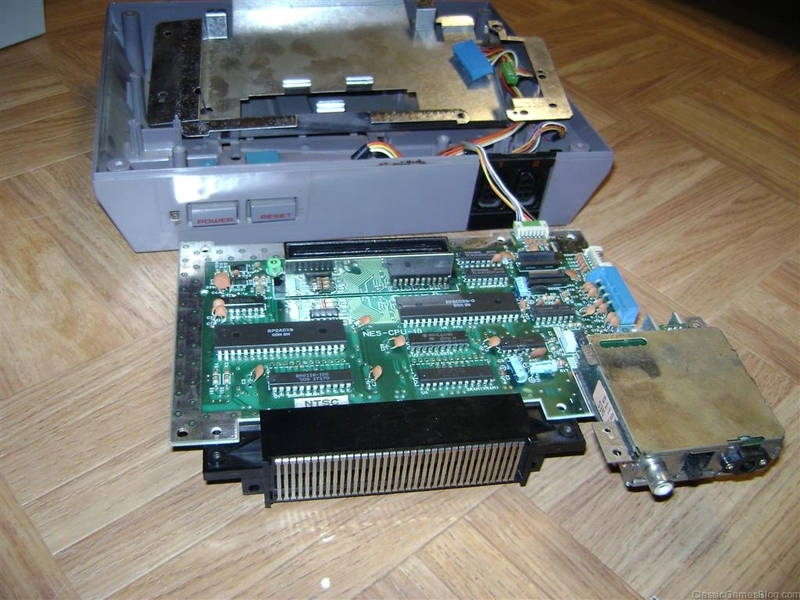 Nintendo NES View of Motherboard and 72 pin connector. 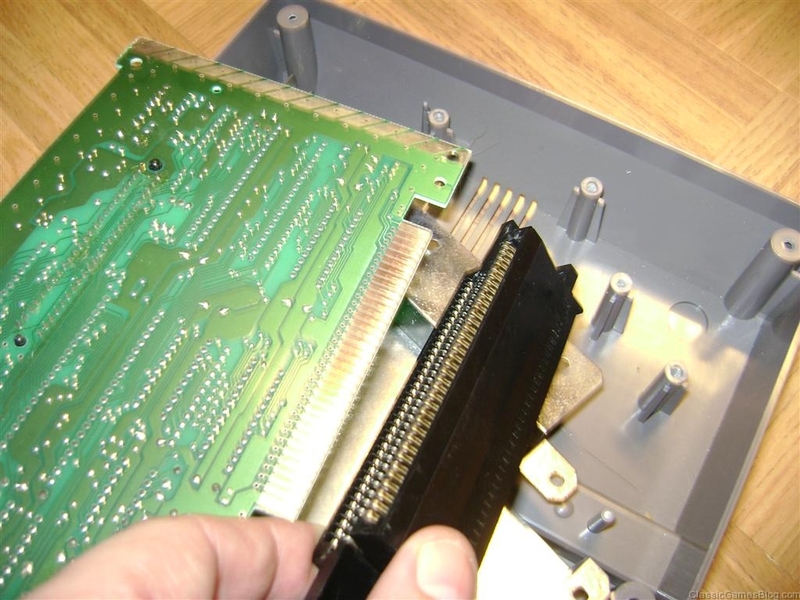 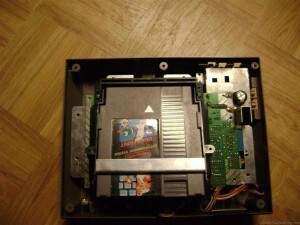 Game cartridge caddy removed. 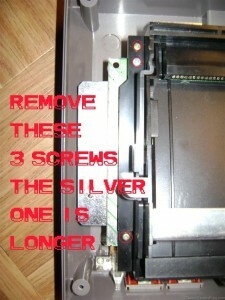 Remove the last 2 screws that are located near where the power supply and component cables plug in. 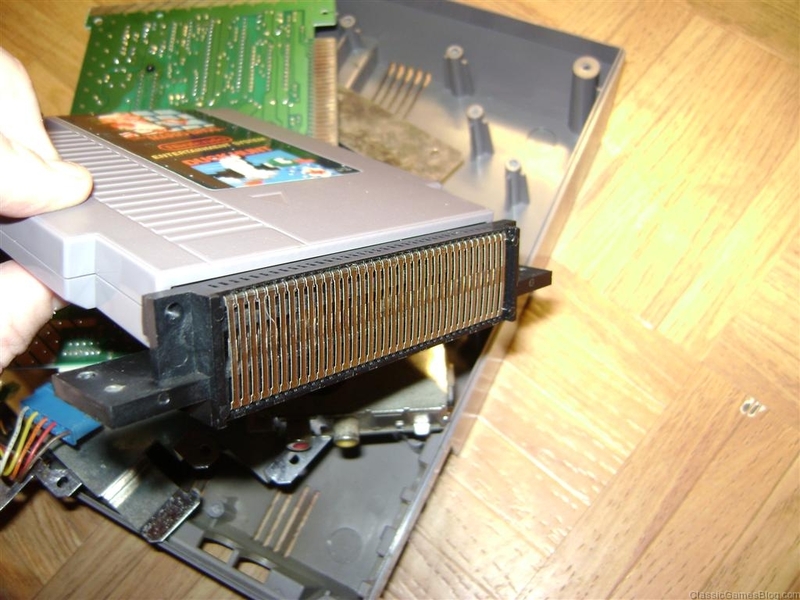 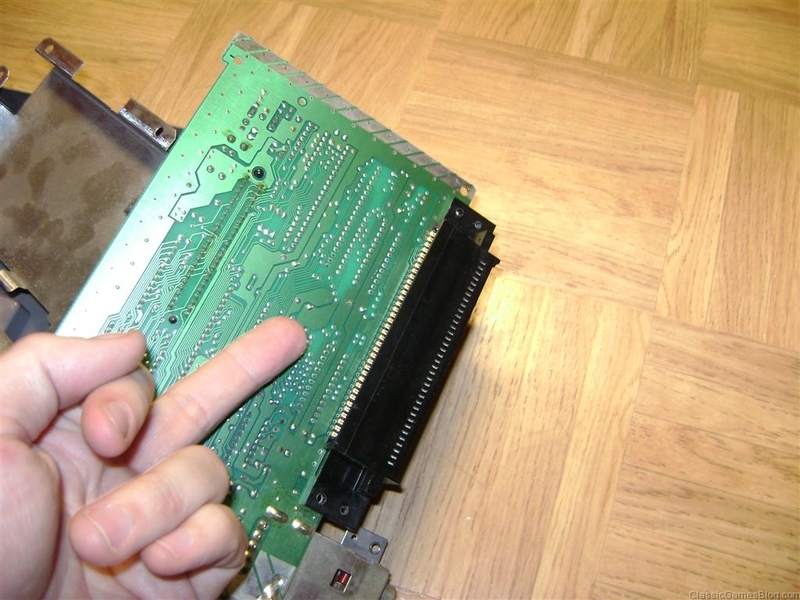 Now you can remove the motherboard from the NES.